Modern Quilters Ireland - old: Call out for donation quilts for the BUMBLEance! Last year, when Cindy and Sarah polled our members as to what we would like to see for 2014, one of the things many of us wished for was to get involved in making donation quilts. We are delighted to be supporting Bee Blessed and making blocks every month to donate as one of our activities. This post is a special call out to members to help support Nikki Foley’s request for quilts for the BUMBLEance. The BUMBLEance is a children's ambulance that is specially outfitted to provide a child friendly transportation service to the long- term sick and seriously disabled. Decorated with a bumble bee, the BUMBLEance aims to make the kids Queen Bee for the duration of their journey! The BUMBLEance carries 5 patients a week for transportation to care centres, from babies to young adults. It’s no fun traveling in an ambulance for treatment and the BUMBLEance aims to make every trip a positive experience for the children and parents alike. To support this goal, Nikki Foley from The Sewing Shed has committed to providing a quilt for every patient carried by the BUMBLEance for a year. 5 patients a week is a lot of quilts and donation quilts for this effort are coming in from Ireland and abroad. We would love to get behind this goal and support Nikki by making quilts for this very good cause. Any size is welcome, baby quilts, lap quilts etc. as the BUMBLEance carries a variety of ages, girls and boys. When you have a quilt ready to donate please email us or leave us a comment here or on facebook and we will let you know the nearest collection point to you, for you to drop off your quilt. 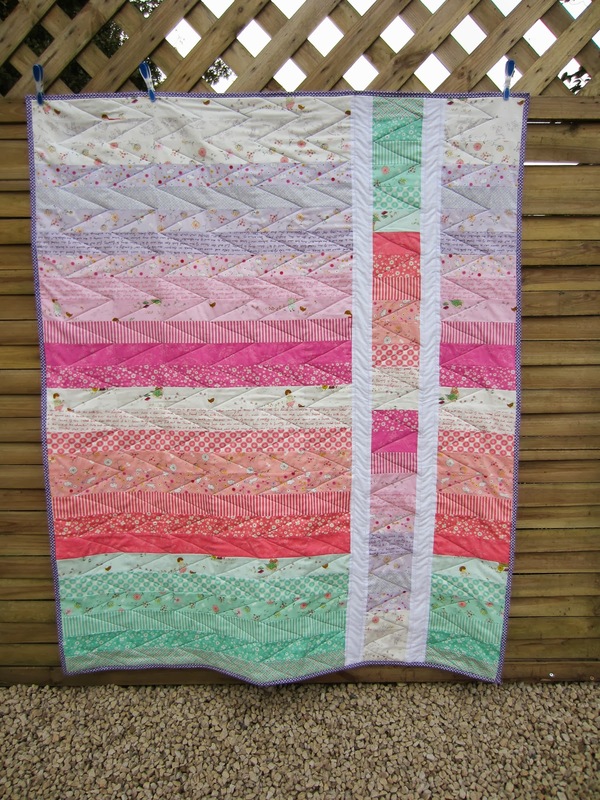 We are looking at receiving quilts in Galway, Limerick, Cork and Dublin and passing them down to Kerry. If anyone is willing to volunteer to receive quilts in other parts of the country please let us know, it would be much appreciated. Nikki will be in the RDS for the Knitting & Stitching show and can accept donated quilts there too. 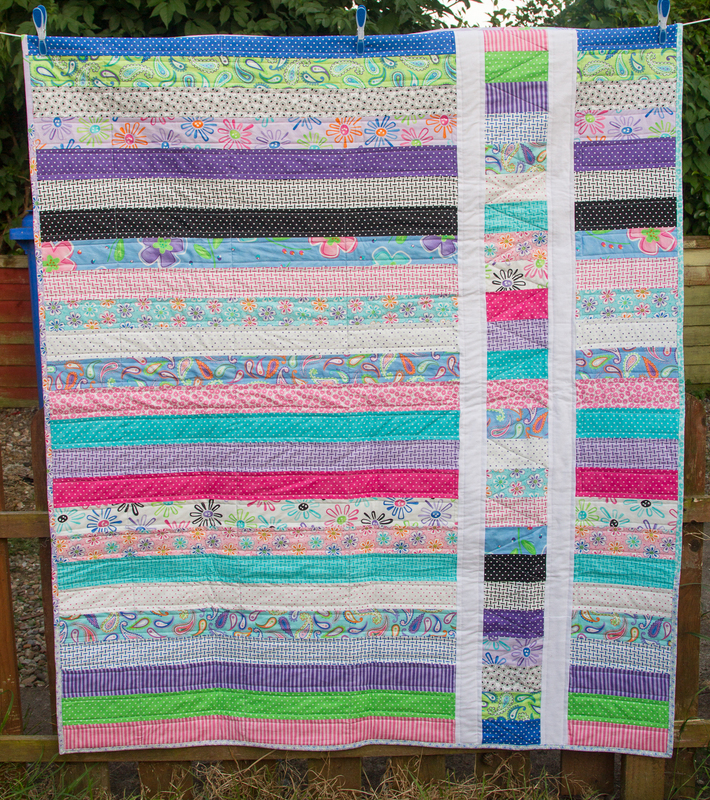 If anyone has a favourite free quilt pattern that sews up quick, please share a link and give us some inspiration! 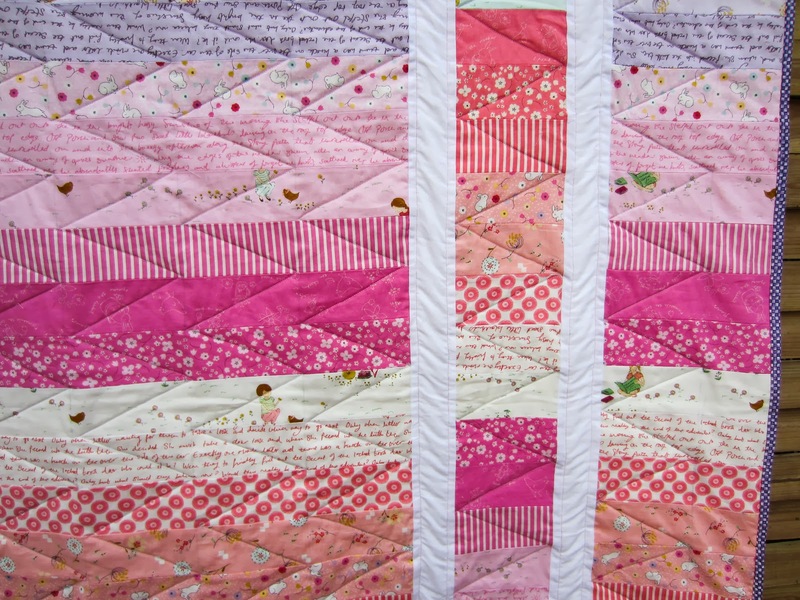 My favourite quick baby quilt to make is the Strip and Flip quilt from Cluck Cluck Sew. I made mine from jelly roll 2.5" strips instead of 2" yardage and it gives a really nice size. I liked it so much I made it twice! We really hope everyone will get on board the BUMBLEance quilt effort and support Nikki and this worthy cause!